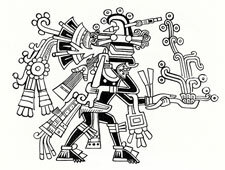 Are the Aztec and Maya daysigns the same? 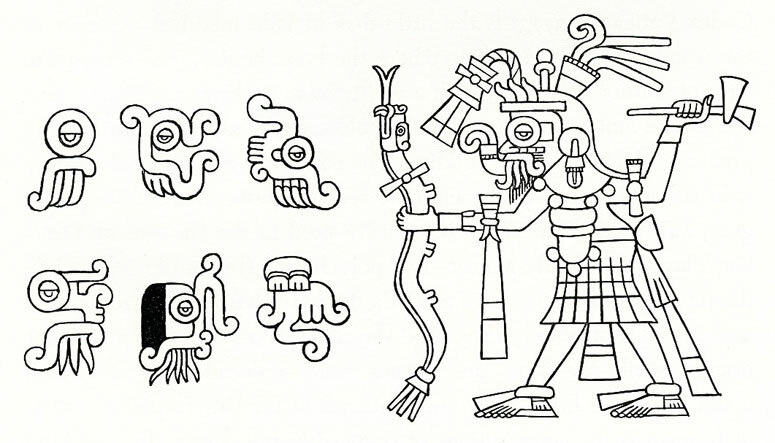 Today's Maya date is: 13.0.6.7.11 - 2312 days into the new cycle! ‘Mixtec art is essentially pictorial, a graphic art, decorative in spirit, with a strong emphasis on precious craftsmanship. 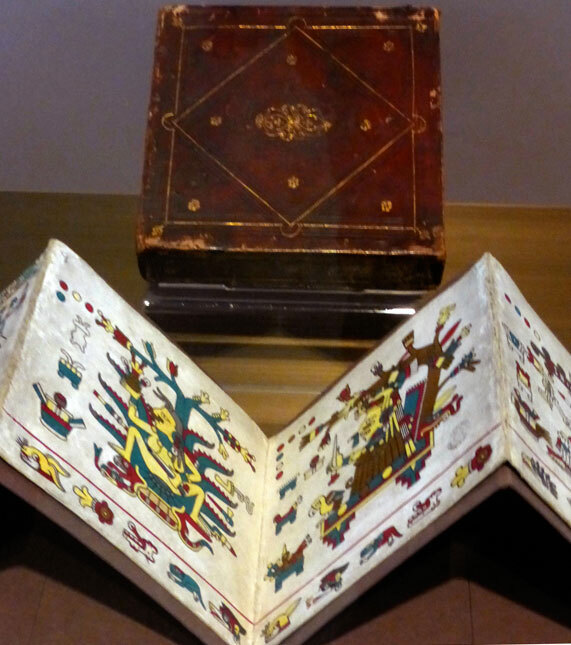 No one in their time surpassed the technology of the Mixtecs in the applied arts. They were masters in metallurgy, in lapidary work, in the making of fine decorative ceramics, in fine carving in wood and bone, and in the making of pictorial manuscripts. It is greatly to be regretted that such perishable examples of art as textiles, shown in sculptures and paintings, were not preserved, and that of wood-carving and the fine art of feather mosaic only a few examples remain, mostly in European museums. 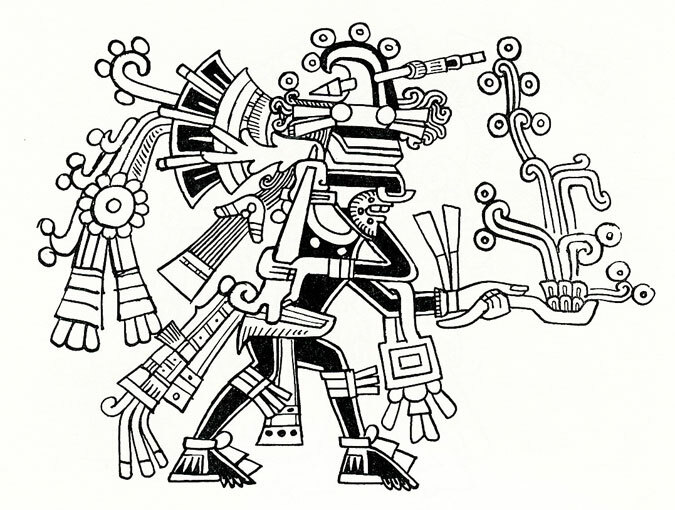 ‘Ideographic painting, in codices, in frescoes, and on pottery, seems to have been one of the principal Mixtec arts. It is endowed with a rich and very definite style and a certain uniformity of spirit. The Mixtec artists told stories of the most complex nature with stylisations of human beings, gods, animals, plants, mountains, pools, clouds, and all sorts of accessory objects and symbols, very much like our own comic strips, with standard postures and conventions, such as the scroll (like the balloons of the comic strips) which emerges from the mouth to indicate speech. These elements, though always highly stylised, are always endowed with a realistic touch that permits recognition of whatever is represented [see main picture, above].